The Majority Of The Softwoods Are White Pine. The Site Grows Excellent Quality Red Oak. Property Closed Out Yard And Road After Thinning. 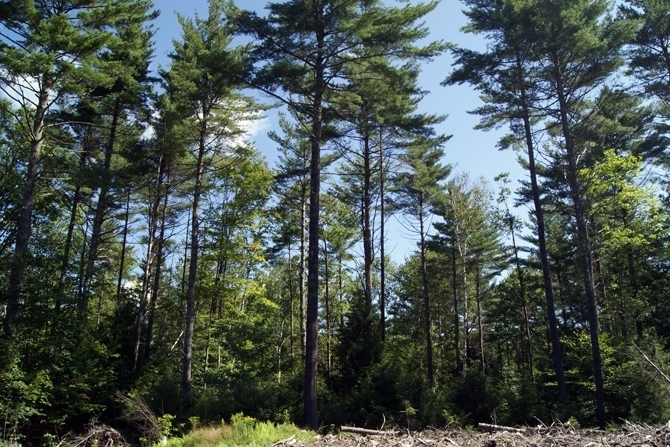 Strawbrook Forest is a 412-acre, multiple-use tract in Canaan, New Hampshire with a well-managed timber resource offering excellent investment potential for the long-term. With established Class VI Road access, forestry and recreational activities, including a seasonal camp opportunity, are available nearly year-round. Strawbrook Forest is in Canaan, New Hampshire, a small, rural town of less than 4,000 year-round residents approximately 12 miles east of Lebanon and Hanover, New Hampshire. Regionally, the forest is located about 12 miles east of White River Junction, Vermont and Interstate 91; Concord, NH is about 50 miles away, while Boston, Massachusetts is located 120 miles away or just over a two-hour drive. Access to the parcel is gained via Kilton Road, a public, unmaintained gravel road. About 1,300 feet of the road was recently improved up to the western parcel boundary. Kilton Road bisects the parcel center, providing good internal access, and connects with another town road beyond the eastern boundary. 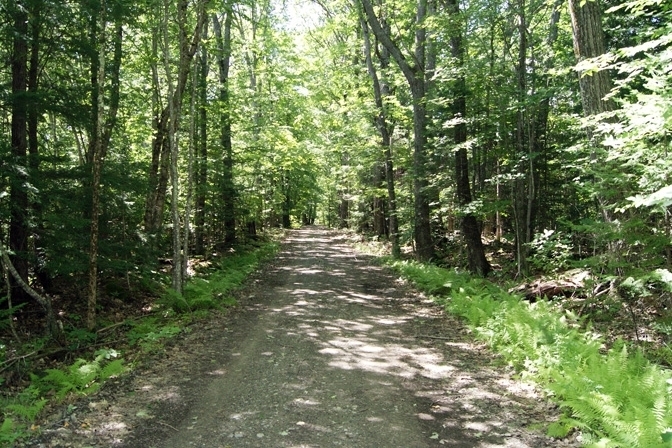 The majority of Strawbrook Forest's topography lies within the watershed of Straw Brook. 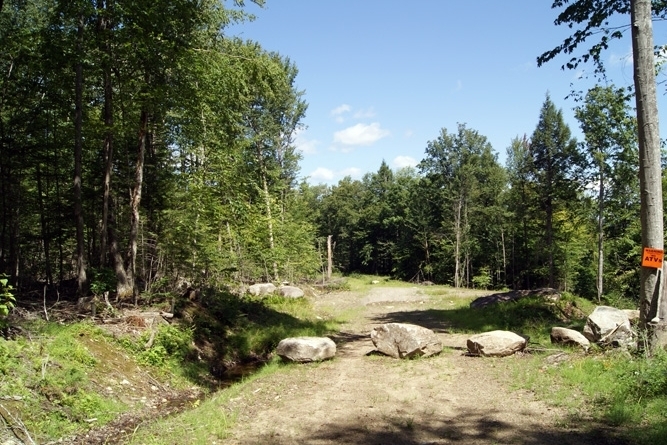 This small stream flows south through the southeastern portion of the property and into Goose Pond Brook, which then flows into the Mascoma River in West Canaan. A narrow plateau of well-drained soils exists along the western boundary, then gradually transitions eastward, sloping towards Straw Brook. 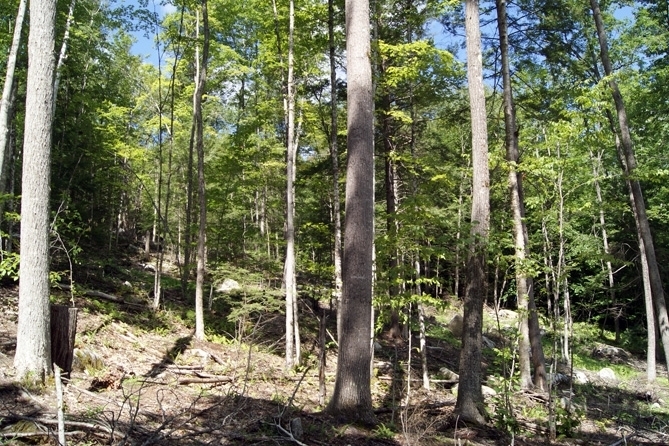 Soils along the slope are moderately well-drained and conducive to growing a diverse hardwood resource. At the base of the slope, soils become more stony with pockets of poorly-drained soils; however, a trail has been carefully laid out parallel to the slope, which provides access for future forest management. A thinning conducted in the summer of 2017 has left a well-distributed mix of mature white pine, red oak, sugar maple and other hardwoods. 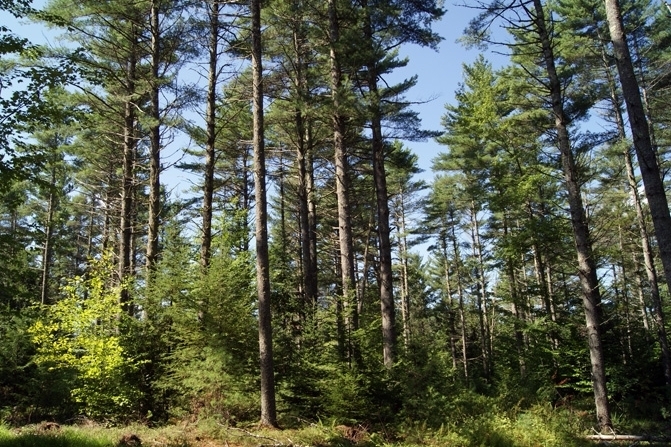 The intent of the thinning was to promote multiple age classes in the hardwoods and create a shelterwood in the pine stands, while also promoting residual high-quality sawlogs. Maintaining quality and species diversity in the residual stands was a major priority of the thinning. The town of Canaan has a Class VI road policy that allows for residents with land accessed by such public roads to apply for a residential construction permit. 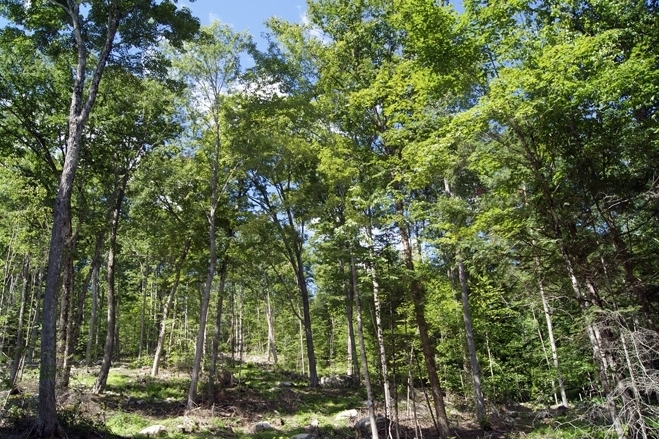 If all conditions are approved by the select board, Strawbrook Forest has good site options for a potential home location.